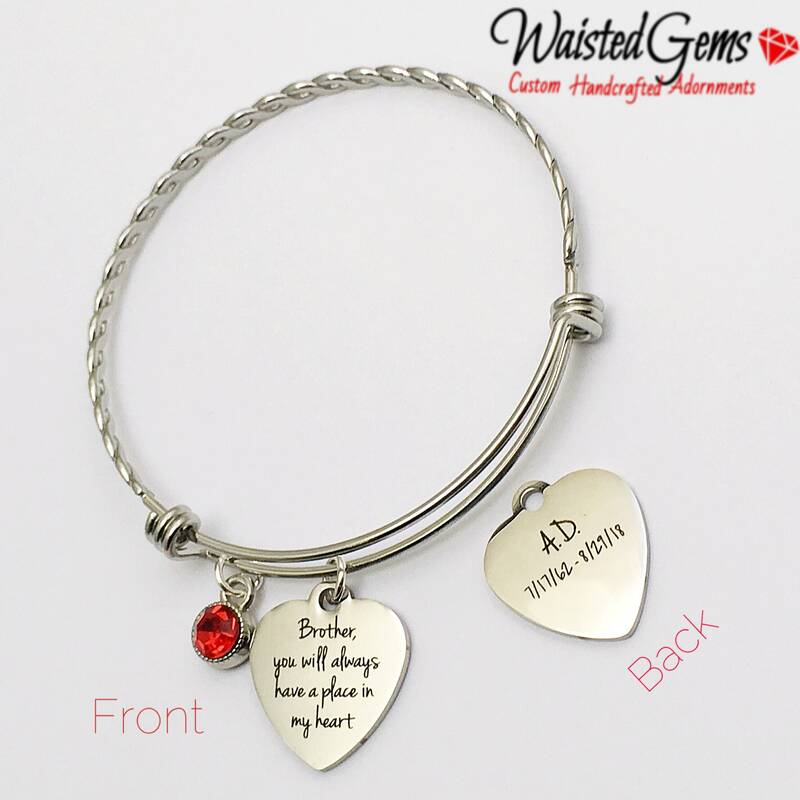 Custom two-sided memorial charm bangle. 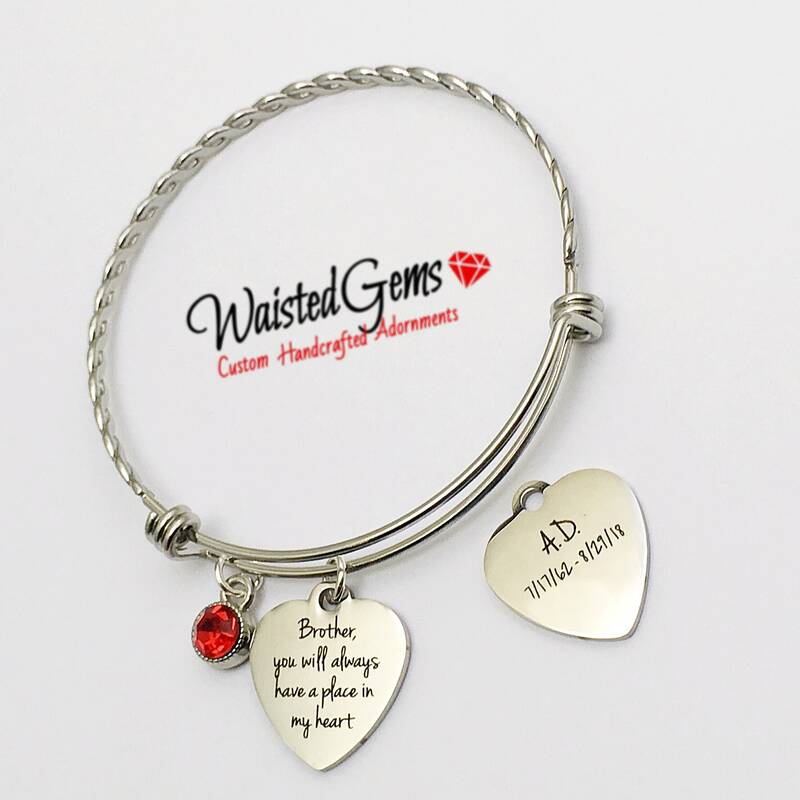 This listing is for you to select the verbiage you would like on the front and back of charm. Because these are made to order please allow 10 business days from the date of your approval of the templet for these to be shipped out to you. IMPORTANT---Once you place your order message me with verbiage you would like on the front and on the back. Please look for my response to you because I will not move forward without your confirmation of the templet.